The only hot tubs worth owning are really expensive, right? Think again. 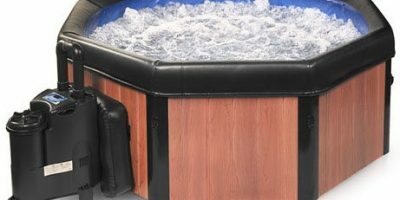 You might be surprised by how nice inflatable hot tubs can be. 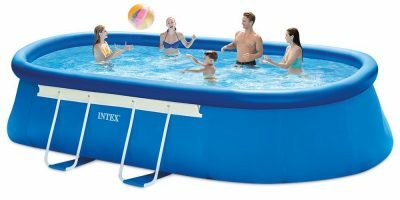 One to consider is the Intex Pure Spa. 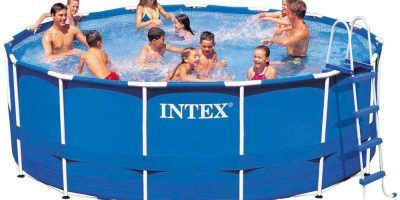 The manufacturer: Intex calls themselves “the leader in Above Ground Pools, Airbeds and Inflatable Spas” and they can back this claim up. Their line of affordable inflatable products has a good reputation. 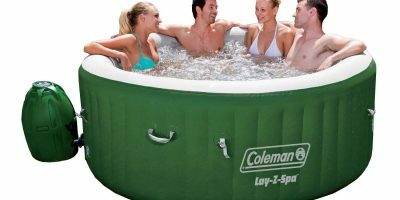 Be sure to also check out our article on the best inflatable spas and the best hot tubs (inflatable and solid) overall! 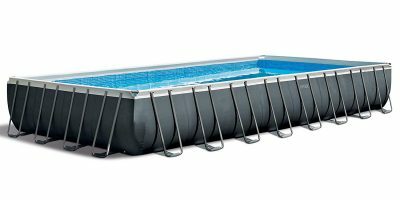 The hot tub has strong construction that is both durable and comfortable. The walls offer stability with a fiber-tech design made from puncture-resistant 3-ply laminated material. In fact, it’s stable enough that you can sit on top of the edge without risk of buckling or collapsing. This hot tub can fit up to four adults, but it will be most comfortable for only 2-3 adults. You can get a gentle massage from the bubble jets but you aren’t able to get a more high-powered massage from this spa. Both setup and take down are fast and easy. Portability is a major selling point of this hot tub. It has carrying handles to move it around without fully taking it down and a convenient carrying case for more involved transport. Easy maintenance is another attractive feature. The hot tub features a hard water treatment system, a system that prevents mineral buildup, and a simple replaceable filter cartridge system for keeping your spa as clean as possible. A floating chemical dispenser keeps the water balanced and safe. Size: 77 in. x 55 in. This is an upline offering from Intex that has some nice advantages. It’s bigger, so it can fit more people. It also has some inflatable head rests that can add to the overall comfort. There are a few extra bubble jets so it gives a slightly better massage. A major advantage of this spa is that its unique heating system means it takes less time for the water to reach the maximum temperature. This hot tub has a unique design that makes it perfect for a couple but not an option for a larger group. It’s comfortable and durable and features 120 bubble jets. Another nice feature of this inflatable hot tub is the optional beverage tray that rests over the center. All in all, this spa is ready for romance. Most people let go of their pre-conceived notions about inflatable hot tubs once they actually experience one. 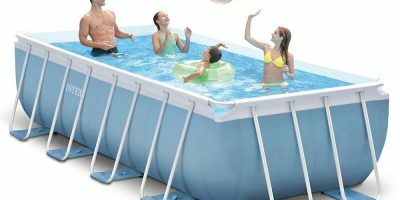 Inflatables are an affordable way to add a hot tub to your life. They also offer the convenience of portability so you can take it with you without much hassle. 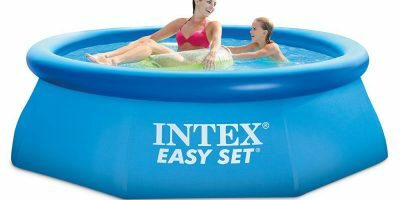 The Intex PureSpa is a great example of how comfortable, sturdy, and relaxing an inflatable spa can be.